Finishing my coffee and getting up to pay the staff had their DC POS tablet at the ready and had guessed that I’d be paying with bitcoin. The process of actually paying was dead simple, they punched in the price of the coffee and a QR code came up on screen, scanning that with my own bitcoin wallet on my phone sent the money to their wallet almost instantly. 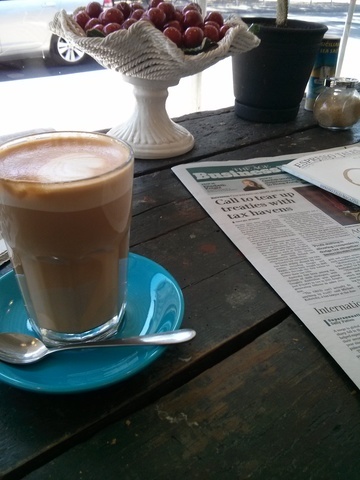 Being a bit of a caffeine addict and that it looked like Imbiss 25 was closing I thought I’d head up the road and check out the other cafe in St Kilda that’s accepting bitcoin. 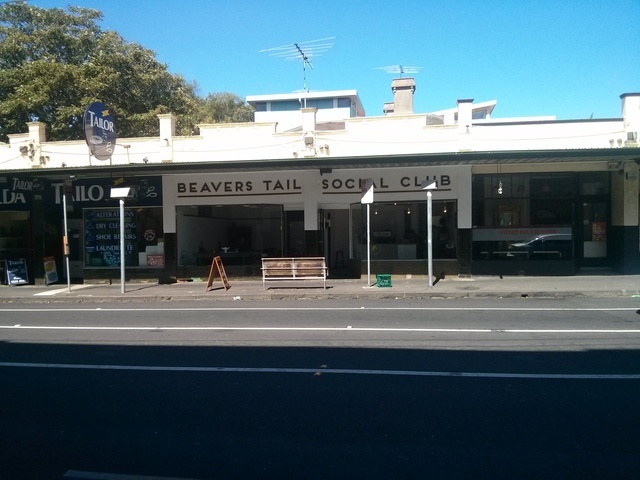 Although having no signage Beaver’s Tail Social Club to indicate their bitcoin acceptance they popped up on CoinMap.org so I made sure to confirm before ordering. Once I’d finished up my second coffee for the day I was a little surprised at the payment process. I was given a QR code to scan but it did not have the price embedded into it so I had to type it into my wallet software also being that I keep track of the USD/BTC price more than the AUD/BTC price my wallet was not configured properly for this. I just suggested that I pay them 5mBTC and call it even. The other thing I found strange is that the wallet that the store was using on I’m assuming the owner’s iphone did not pick up the zero confirmation transaction quickly at all however they were happy enough to trust that I’d done the right thing. Having had only successes the previous day with the bitcoin transaction times I did run into a slight bit of trouble when paying for my coffee at Roller Door. Being right near the North Melbourne train station (a known 3g deadspot) I wasn’t able to get adequate signal for my transaction to go through. Lucky they were happy enough to share me the wifi password so that I could broadcast the transaction and like I’d previously experienced, the transaction took less than 3 seconds (after I was on the wifi). 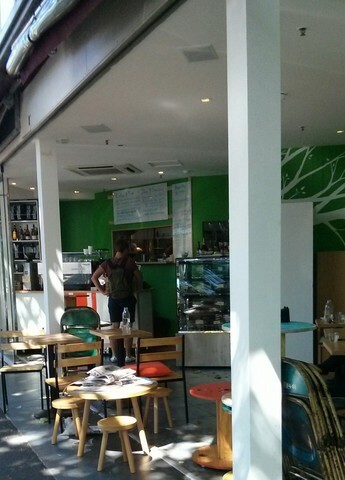 Roller Door cafe were also using a DC POS system and although the staff were a bit less bitcoin enthusiastic than the previous places I did strike up a conversation with another customer who sounded quite interested in the topic and already had heard a little about bitcoin. The bitcoin conversation is only just beginning and members of the Melbourne bitcoin meetup group are always talking about Melbourne being the bitcoin capital of the world, I think we’re well on track. If you’re interested in bitcoin I suggest getting involved in your local community or start the discussion with your favourite cafe and get them onboard, who doesn’t like buying things with bitcoin?